If you are like most mobile app marketers, your users are like Captain Jack Sparrow from the Pirates of the Caribbean. While I am reasonably sure that they are not pirates in the high seas, chasing buried treasure and getting worshipped as a God by cannibals, their in-app behavior can be unpredictable, bordering on the inscrutable. What makes one user complete the checkout process while the other uninstalls your app? What leads someone to leave a one star scathing review while the same version of the app gets a glowing five star review from another user? Why does app A with virtually the same feature set as app B have 3x the users and 5x the revenue? Would the new features included in the latest update improve the DAU numbers? What time should you send your push notifications to get the highest CTR? As Jack Sparrows for your users, you are practically sailing blind without any idea why your app attracts or repels users. This unpredictability in engagement is bad for business and makes it hard for you as a marketer to predictably run high impact campaigns. So how do you get out of this sticky situation? The actual engagement metrics for an app which lets you fill out your taxes is going to be very different from a mobile game, which would have no commonality with a productivity app. Find out how you can use psychology to reduce user churn and exponentially increase your in-app user engagement rate. Core Daily Active Users – Instead of using DAU or MAU which are aggregated numbers, pick core daily actives. This metric is the number of users who were active both today and a month ago. They are your highly engaged and loyal users, and as a marketer your job should be to attract more of the same. Daily Net Change – This metric tells you how much of your user base has grown or shrunk on a daily basis. Measured by Number of New Users + Number of Reactivated Users – Number of Churned Users, this metric is one way to understand user engagement with your app. Length of each Session – While not always true for all cases, the longer the length of each session, the higher the chances are that the user is engaged with your app. Session interval – Defined as the time between a user’s first session and the second. Highly engaging apps will usually have short session intervals. Campaigns Received vs. Engaged With – You would want to consider data like push notification open rate, email click through rates, goal completion rate. These numbers will give you an insight about your users and help you make better marketing decisions. Retention Rate – You should look at D1, D7, and D30 user numbers to find out the percentage of users still using your app. The less steep the drop off, the higher are the chances that users find your app engaging. Common Conversion Activities – This metric isn’t a hard number but a list of activities which separate high value users from tire kickers, and your job as a marketer is to optimize for them, either during onboarding or during the free trial period. Red Flag Metrics – Related to common conversion activities are the red flag metrics which will tell you when a user has trouble with your app. You can improve your engagement rate by reaching out to these users and helping them with any questions they might have. Once you have crunched the numbers and understood where you are at as far as app engagement is concerned you can start by improving your messaging and your targeting options. Here are some ideas that have worked well for our clients. Clevertap clients send billions of monthly push notifications to users using our platform. Done the right way, we have found push notifications to be highly effective in driving user engagement across multiple industries. Our data tells us that the CTR of push notifications depend on multiple variables including industry, time of the day, trigger words, and even presence/absence of emojis. We have found that Android users are most likely to open push notifications sent by apps in the Deals and Coupons category. For apps in Food and Delivery category, the CTR on a push notification is highest if the number of words is between 7 to 45 characters. While I don’t want to repeat the cliche about users responding to right messages at the right time in the right context, most marketers are still behind the user expectation curve when it comes to personalization of marketing messages. If you have an ecommerce app, it’s not enough to send an email three days after they have abandoned the cart. You have to drill down deeper, keeping in mind their past user behavior, their preferences, and sometimes even their location while A/B testing the subject line if you want to improve the chances of they opening your email, clicking on it, and completing the desired action. Much ink has been spilled on the need to improve user onboarding flow for higher app engagement. While no one disputes the need to improve onboarding, what many app marketers and app makers seem to miss is the imperative to make onboarding flows user centric instead of product centric. Show, not tell. 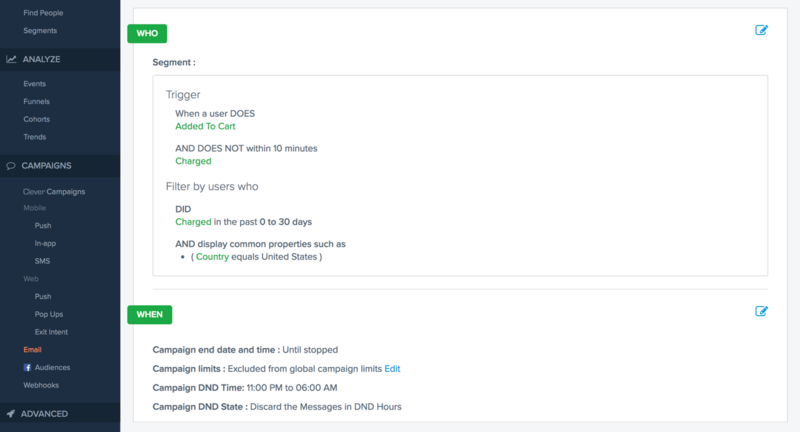 User onboarding flows that take a ‘learn by doing’ approach work well. Onboarding should show value that users will get out of the app instead of teaching them how to navigate through a broken design. Onboarding flows should evolve as the product changes. Onboarding should be a continuous process instead of a one-off activity triggered during app launch. Click here to get your free copy of MARKETER’S SECRETS to exponentially increase in-app user engagement. 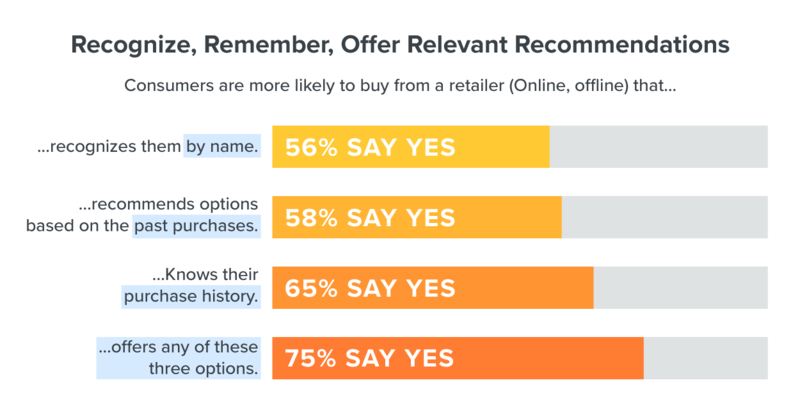 Marketers love retargeting, aka “those creepy ads which follow you across the Internet” . In the context of mobile apps retargeting ads can win back users who have tuned out, highlight features of your app which they might not have used so far, and improve engagement and sales by offering coupons or discounts. You can get started with retargeting using Facebook: Clevertap lets you create Custom Facebook audiences from inside the dashboard based on user behavior. Beyond Facebook you can run retargeting ads on Google AdWords, and also use other tools like AdRoll, Chango, Perfect Audience, Triggit and Retargeter. Follow the IAB guidelines for different types of ads like display, HTML5, video, native, VR, and social messaging ads. However, there’s no denying the fact that with so many variables dictating app engagement, many of which you have no control over, it’s not easy to maintain your pole position for all times to come. For instance, instead of ranking games only by the number of downloads Google Play Store will also take into account how engaging they are. If a central part of your marketing strategy so far has been to focus on only the number of downloads you might have a lot to catch up on. Instead of wringing out a few percentage points in engagement from a poorly designed product you would be better served understanding why certain apps are so addictive and habit forming, and see how you can replicate that same behavior in your app. Once you have that down pat, your users will turn from Jack Sparrows to Will Turners, whose behavior is less erratic and more predictable. Want to get users hooked to your app? 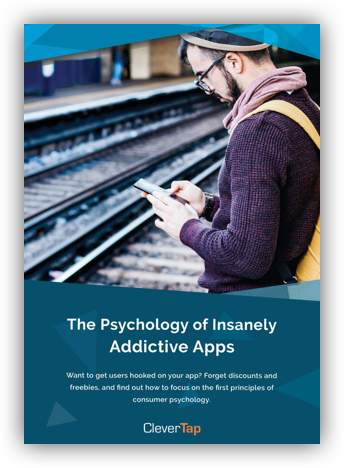 Forget discounts and freebies; instead find out how to focus on consumer psychology to design highly engaging mobile apps.